Encore Senior Fellow Paul Taylor is a writer, speaker and researcher who specializes in demographic change and generational trends. 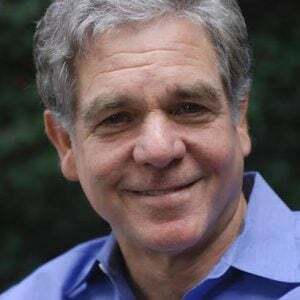 He is the author of The Next America: Boomers, Millennials and the Looming Generational Showdown (PublicAffairs), which draws on his work at the Pew Research Center, where he served as executive vice president from 2003 to 2014. Paul was a newspaper reporter for 25 years, including 14 at The Washington Post, where he covered three U.S. presidential campaigns and served as bureau chief in South Africa during the historic transformation from apartheid to democracy. He is also the author of See How They Run(Knopf, 1990), and co-author of The Old News Versus the New News (Twentieth Century Fund, 1992). In 1996, Paul founded the Alliance for Better Campaigns, a public interest group that sought to reduce the cost and improve the content of political campaign communication on television. Its honorary co-chairs were Walter Cronkite and former Presidents Gerald Ford and Jimmy Carter. Paul earned his BA at Yale University and twice served as the visiting Ferris Professor of Journalism at Princeton University. He and his wife, who have three grown children, a son-in-law, two daughters-in-law and three grandchildren, live in Bethesda, Maryland. Each summer they return to a multigenerational community in upstate New York, where their grandkids cavort with the grandchildren of friends they’ve known since childhood.